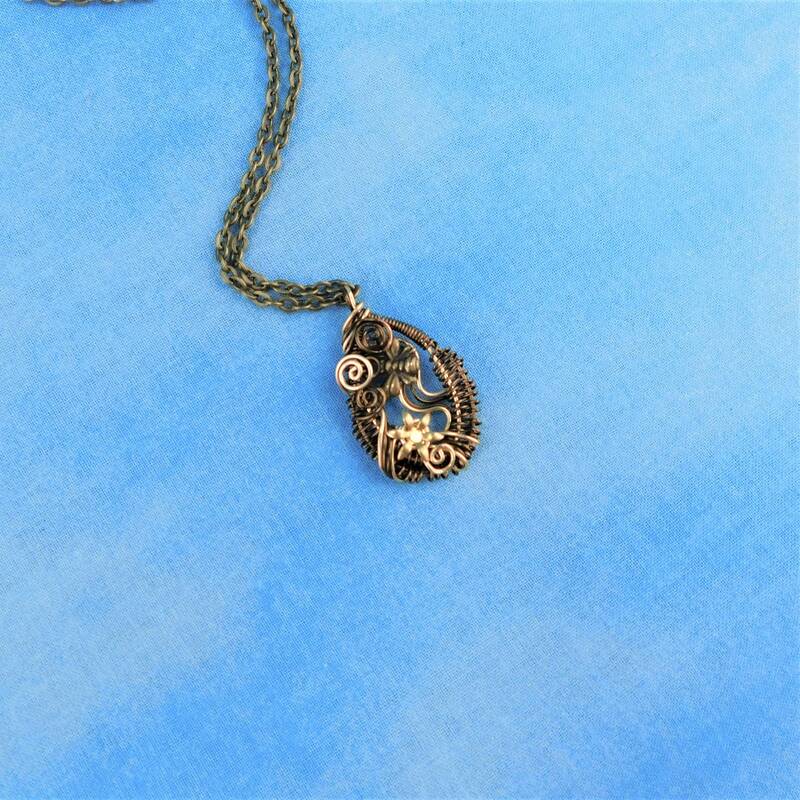 Two shades of non tarnish copper wire are hand woven, incorporating a bronze metal bee. 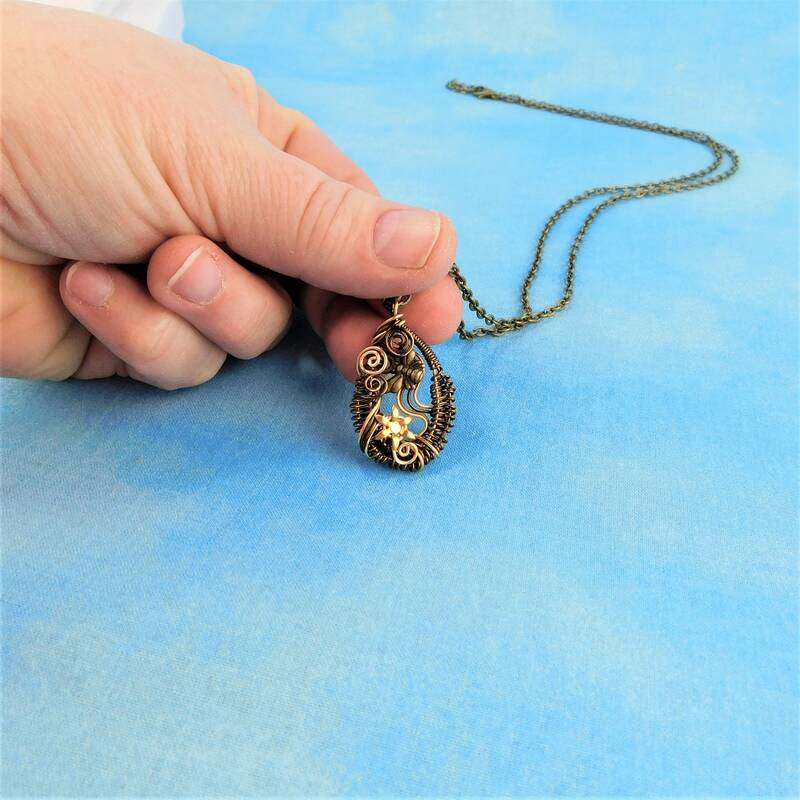 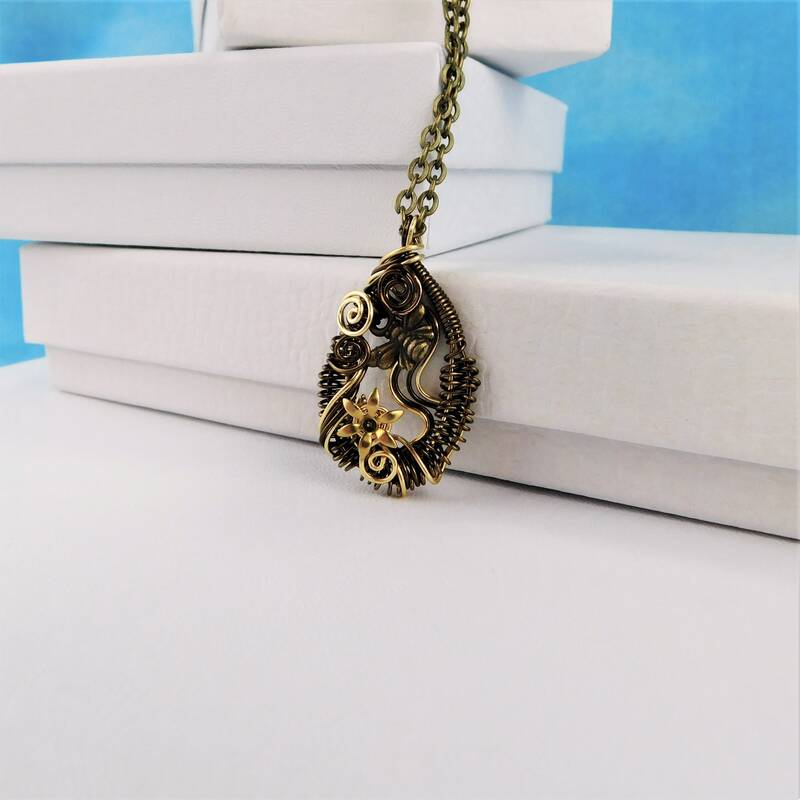 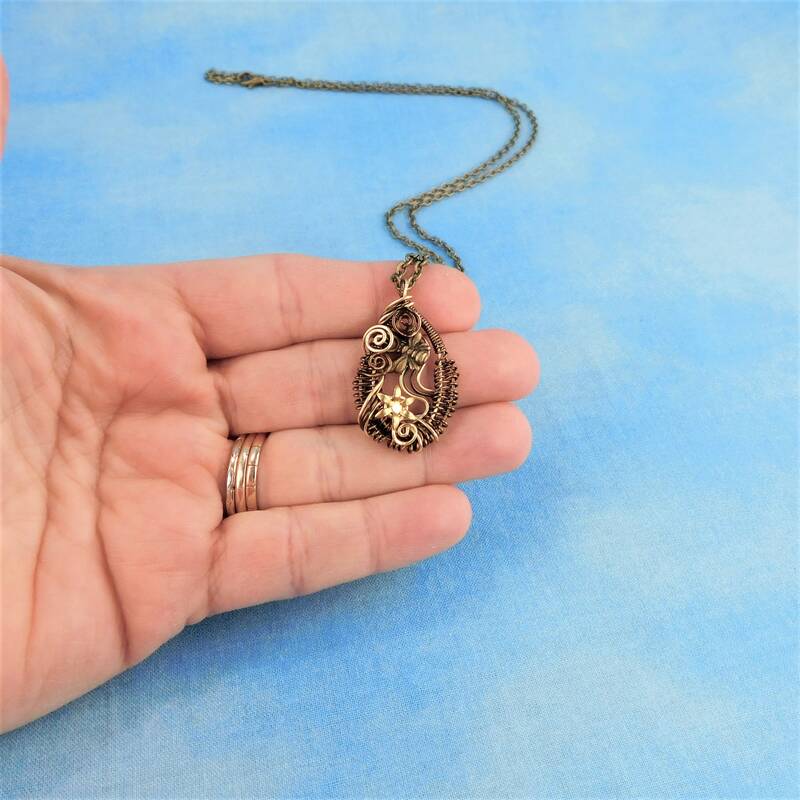 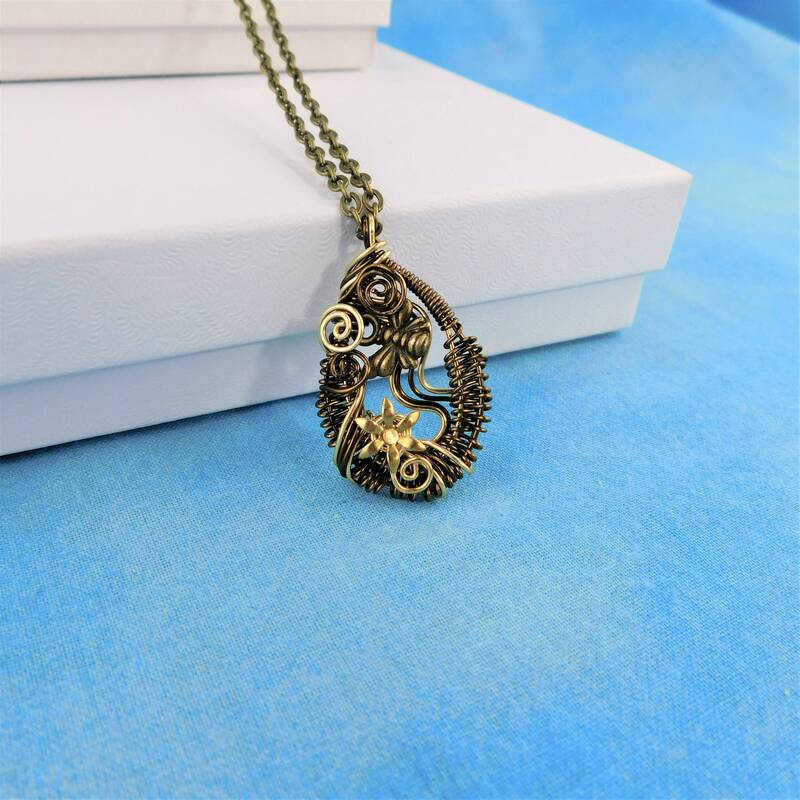 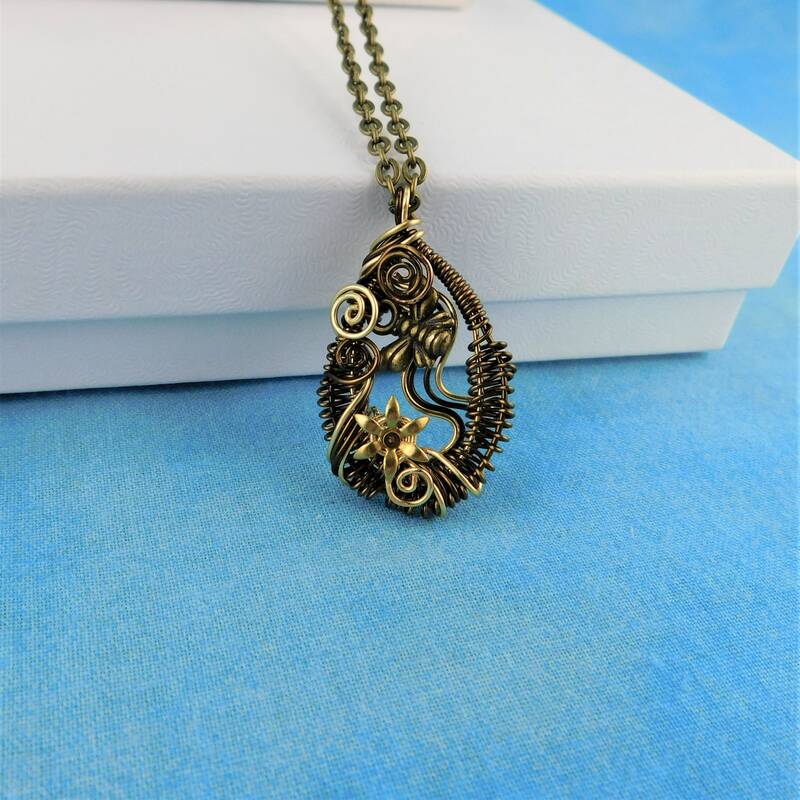 The bee appears to be buzzing among sculpted wire leaves and vines, creating an interesting, fun pendant for any woman with a penchant for bees. 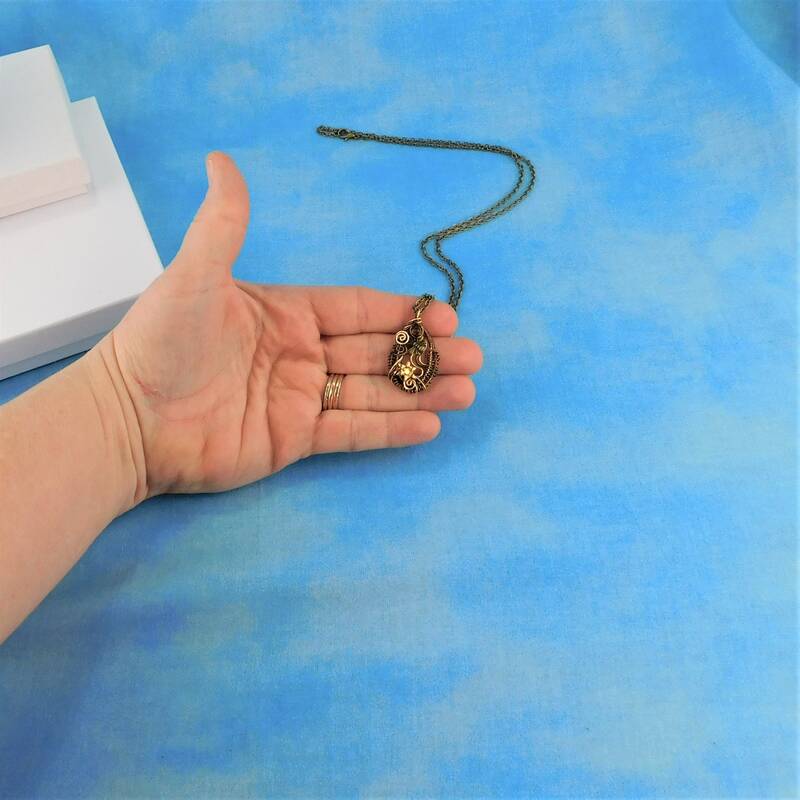 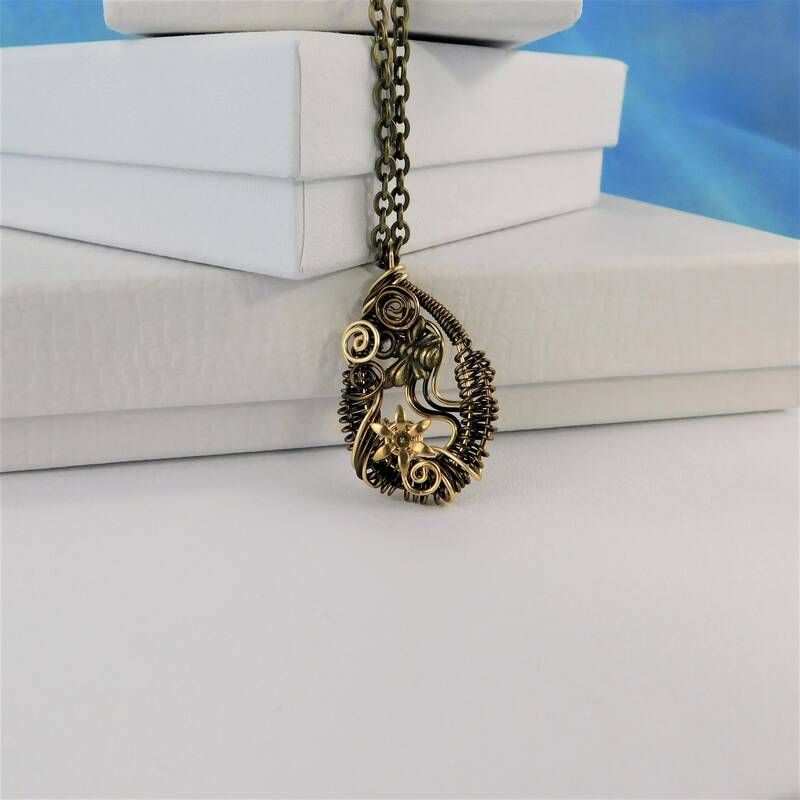 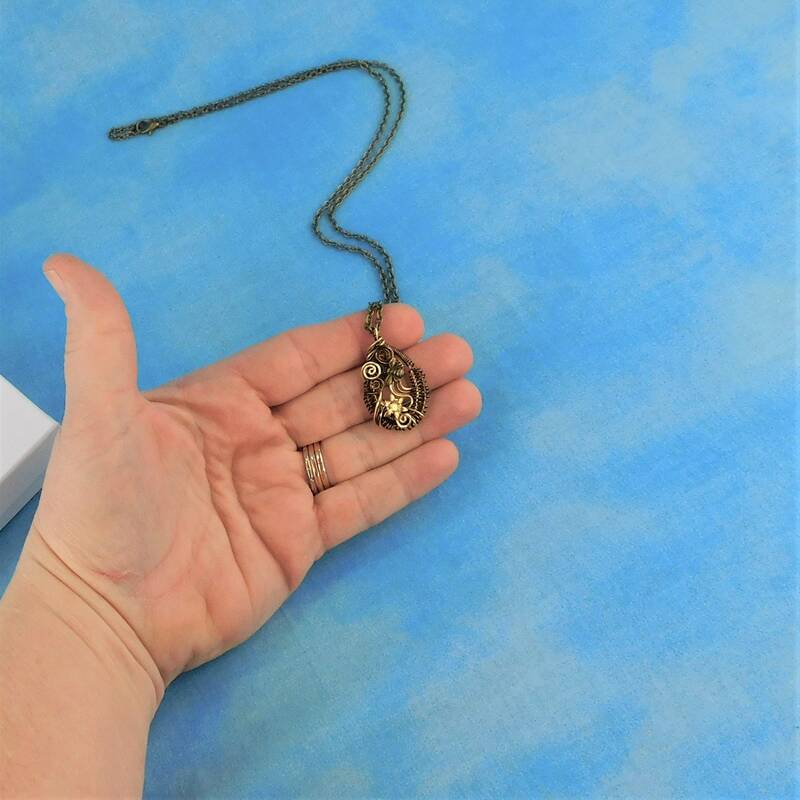 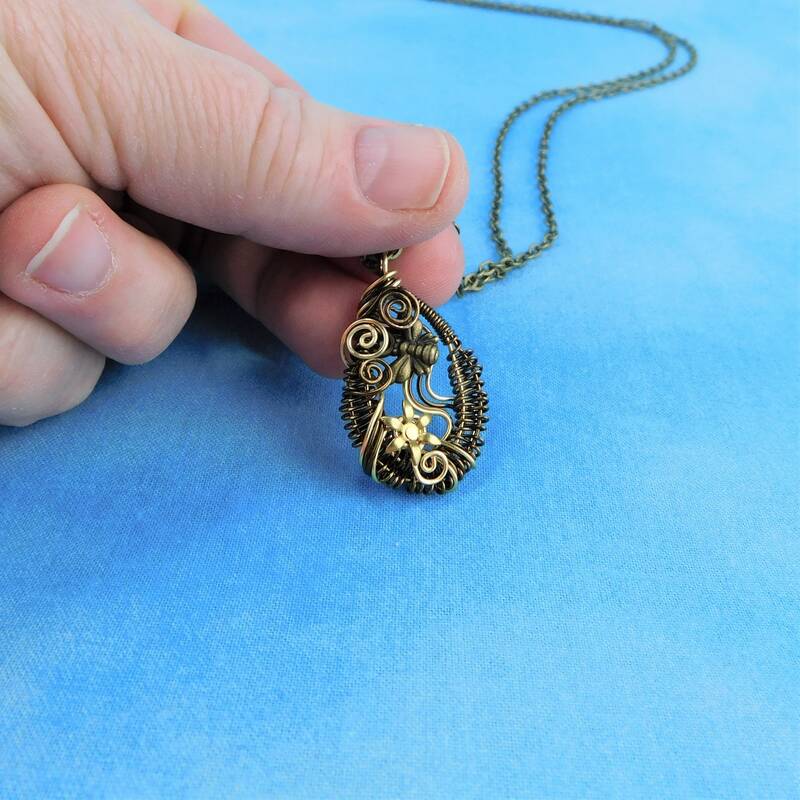 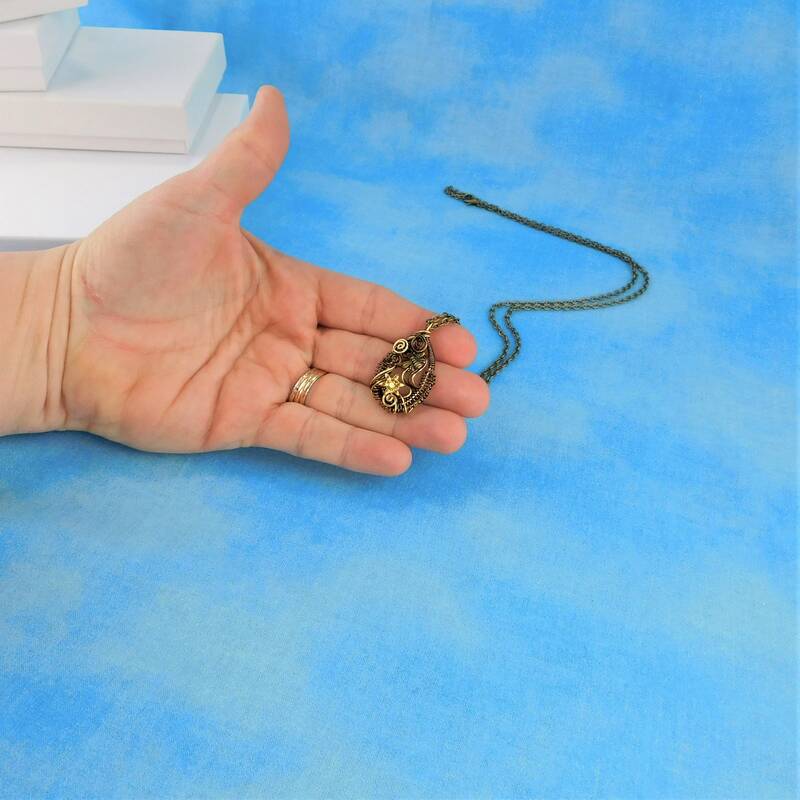 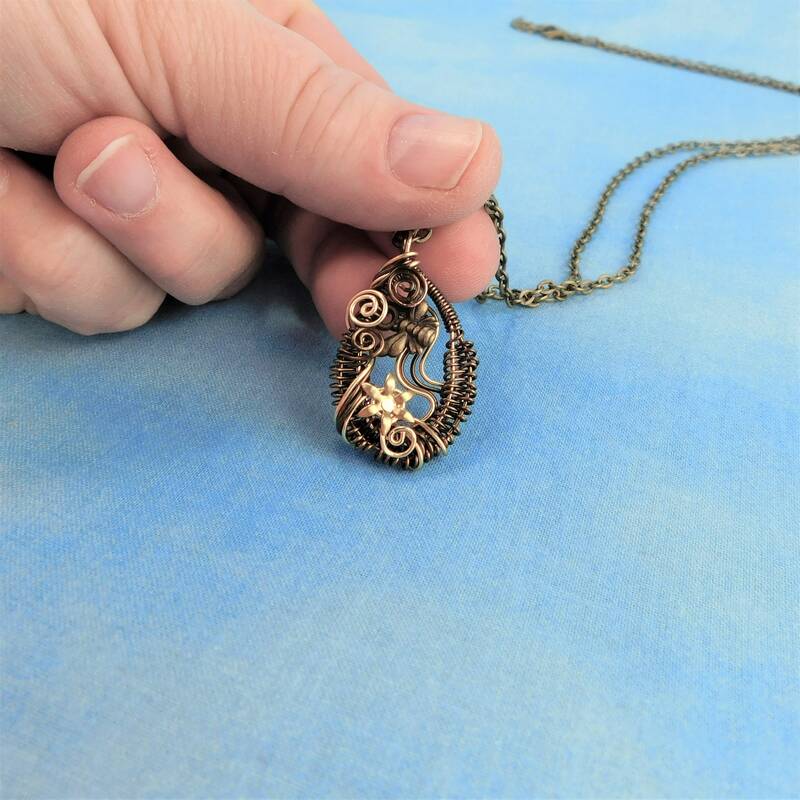 The pendant measures 1 inch by 3/4 inch and comes with a FREE coordinating chain with lobster claw clasp, measured to your preferred length.